There is no formula in Florida law that determines how many drinks it takes to reach or exceed the legal blood alcohol concentration (BAC) limit of .08. Many people, in thinking they are safe to travel, have driven or been a passenger multiple times after having drinks or taking medications that could alter their consciousness behind the wheel. The Orlando DUI attorneys at Kramer Law are honest about the consequences that you could face if you are charged with DUI more than once, but we are also dedicated to fighting for your rights and against a conviction. There could have been an honest mistake involved on behalf of you or the officer that we want to uncover. If you have been arrested for multiple DUI charges, including a second or even fourth DUI, then you need a committed attorney who knows what defense strategies are necessary to keep you out of jail and get you back on course in life. Call an experienced Kramer Law attorney as soon as you can after your arrest so that we can get to work for you. Kramer Law attorneys have a proven history of negotiating for the total dismissal of DUI-related charges or getting charges down to a much lesser offense. We also want to get you back driving and your vehicle back to your family as soon as legally possible. Contact us or call 855-Kramer-Now (855-572-6376). Florida law states that a person is guilty of DUI if his or her BAC is above the legal limit of .08. The BAC only has to be .02 or higher for a person who is under 21 to be charged with DUI, and the BAC has to be .04 or higher if the person is a commercial vehicle driver. Although alcohol may appear to be the most common DUI offense, an officer can charge you with DUI if there is suspicion that you are under the influence of prescription or over-the-counter medicines, illegal drugs, or a combination of any of the three. Florida courts take DUI offenses very seriously and can be especially harsh on habitual DUI offenders or people who commit multiple, simultaneous driving crimes, such as driving under the influence while driving with a suspended license; driving while intoxicated while on probation; drinking and driving while under the age of 21; resisting arrest; and hit and run. There are multiple penalties that a driver could face if he or she is convicted of DUI. Listed are the bare minimum and maximum penalties listed in Florida law for each DUI offense. Please see our details about Florida DUI penalties for repeat DUI offenses. A first DUI conviction in Florida is a misdemeanor, although it still becomes part of your criminal record. The minimum penalties increase if your BAC is nearly double the legal limit or if a minor is in the vehicle at the time of arrest. A second DUI conviction in Florida can also be a misdemeanor. The second conviction still has steeper – and more costly – penalties than a first offense. A driver could lose his or her driver’s license for up to five years. In certain cases, a hardship reinstatement, which is the restoration of some driving privileges under specific conditions, could be issued after one year. Fines: A second DUI carries fines between $1,000 and $2,000 or between $2,000 and $4,000 if the BAC was over .15 or if a minor was in the vehicle. Jail: You could face up to nine months in jail, with a mandatory 10 days in jail if the second DUI arrest is within five years of the prior conviction (At least 48 hours must be consecutive). If an accident or crash occurs or if your BAC was over .15, you could face up to one year in jail. Additional penalties include: 180 days to one year probation; a minimum five years’ driver’s license revocation if the conviction is within five years of the first conviction; your vehicle impounded for up to 30 days; an ignition interlock device installed in the vehicle at the driver’s expense; Florida DUI school and alcohol treatment; financial restitution if property damage or personal injury was involved. A third DUI conviction in Florida results in a permanent, third-degree felony DUI conviction if the conviction occurs within 10 years of a previous DUI conviction. A driver’s license could be revoked for up to 10 years, and a hardship reinstatement cannot be issued until two years after the conviction. Fines: A driver could face between $2,000 and $5,000 in fines if the BAC was .08, or at least $4,000 if the BAC was .15 or if a minor was in the vehicle. Jail: You could face up to five years imprisonment, with a mandatory 30 days’ imprisonment if the third DUI arrest is within 10 years of the prior conviction (At least 48 hours must be consecutive). If the arrest is after 10 years of the previous conviction, you could face up to one year in jail. Additional penalties include: a mandatory 50 hours community service or a fee of $10 per hour of community service; your vehicle impounded for up to 90 days; an ignition interlock device installed in the vehicle at the driver’s expense; Florida DUI school and alcohol treatment; financial restitution if property damage or personal injury was involved. A fourth or higher DUI conviction in Florida is a third-degree felony that may result in a habitual/violent offender status on the person’s criminal record. There are more costly - penalties than the previous offenses. The driver could lose his or her driver’s license for life without any possibility of it being reinstated. Fines: The fine is between $2,000 and $5,000. Jail: You could face up to five years imprisonment and up to five years’ probation or up to ten years imprisonment if you are convicted as a habitual/violent offender. Additional penalties include: up to 50 hours of community service or a fee of $10 per hour of community service; your vehicle impounded for up to 90 days; an ignition interlock device installed in the vehicle at the driver’s expense; Florida DUI school and alcohol treatment; financial restitution if property damage or personal injury was involved. A person under 21 can be arrested if the BAC is .02 or higher. While this violation is not a traffic infraction or a criminal offense, the first arrest could result in up to six months’ suspension of driving privileges. A second or subsequent suspension could last for up to one year. Any suspension would be effective immediately. If the BAC is higher than .05, the suspension will remain in effect until the person has completed a substance abuse course and evaluation. In some cases, the officer will issue the driver a temporary permit that is effective 12 hours after the arrest and valid for 10 days. A commercial motor vehicle driver can be charged with DUI if his or her BAC is .04 or higher. A commercial driver can lose commercial driving privileges for up to one year after the first DUI conviction. After the second or subsequent conviction, the driver could permanently lose the right to drive a commercial motor vehicle. In some cases, the officer will issue the driver a temporary permit that is effective 24 hours after the arrest and valid for 10 days. Florida law states that DUI manslaughter occurs when a person who is guilty of DUI causes the death of another person, including an unborn child. A person can also be charged with vehicular homicide, which occurs if there was evidence that negligence was involved. 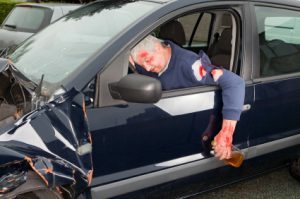 The consequences of a conviction for DUI manslaughter or vehicular homicide can be heavily impacted if a person has multiple prior DUI offenses. If you have had prior DUI offenses and are now facing charges of DUI manslaughter, an Orlando DUI lawyer at Kramer Law is ready to go to work for you. Detailed information on any of these additional penalties can be obtained by contacting an experienced attorney. A DUI arrest is not a conviction. An experienced DUI attorney will review each piece of evidence against you and determine if the prosecution even has a case. At Kramer Law, we will examine whether the prosecution can prove if you were the actual driver, and we will also look into whether the arresting officer did his or job correctly. We will also look at any field or chemical test results to see if there was any error in the readings. If a death was involved, we do not want such a tragedy on your conscience if you are not at fault. Kramer Law will investigate whether there were any other conditions, including medical conditions, which could have led to death in the accident. Then, DO NOT admit to any guilt or make any statements to police. You want to be respectful when you inform the officer that Kramer Law DUI attorney will handle any conversation with law enforcement. And, DO NOT take the advice of anyone on the scene or anyone that is not an attorney. A DUI charge is a very serious offense. Do not risk handling it on your own. If there is a way, we will figure out what needs to be done to get you back driving and your life back on track. Contact Kramer Law today.